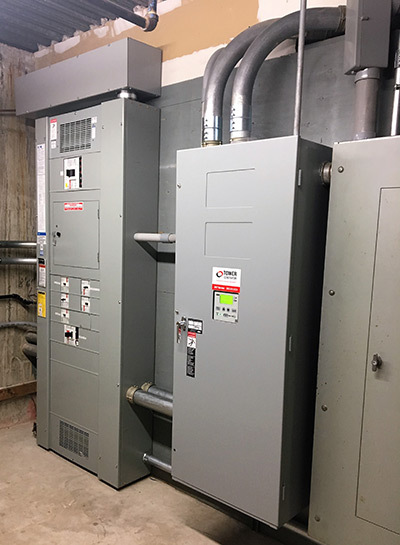 This prestigious college preparatory school in northwestern Connecticut needed a replacement generator and an electrical upgrade. The school has a large campus where the critical buildings must be powered in the event of an outage. The new generator powers the dining hall and the book store as well as a pump station. The new power system was designed with a 150kw diesel generator with new switch gear and an automatic transfer switch. The project has been completed and ready to keep critical services running in the event of an outage. To upgrade to a more modern and reliable generator that will respond within seconds of a power outage.